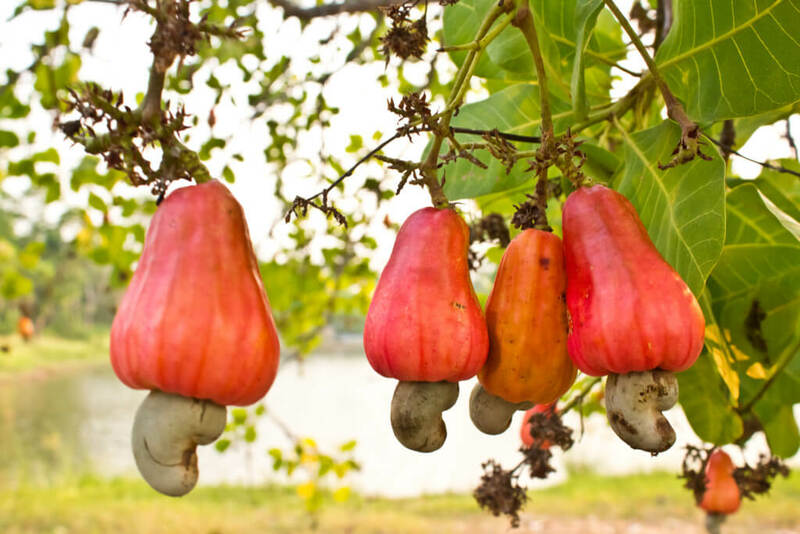 Cashew trees produce fruits that have two edible parts. The brightly colored cashew apple is mainly used in beverages, chutneys and vinegar while the cashew nut is mainly consumed fresh after being properly shelled. The nut has many culinary uses such as cashew oil, cashew butter, grounded for garnishes, etc. Both the apple and nut offer many nutritional benefits.